You’re probably sick of losing plants to winter temperatures and trying to find space in your house to protect the ones you can carry inside in the cold. 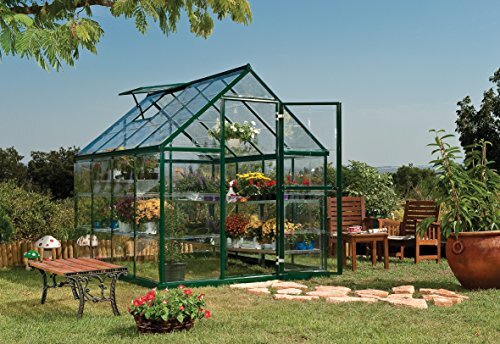 It’s time to extend your growing area and season with a greenhouse. We’ve compiled a list of the best polycarbonate greenhouse models. Polycarbonate is a material different from glass or plastic because it helps shield plants from harsh sunlight while providing bright diffused light even in winter. We’ve also answered a few questions you might have about choosing the best polycarbonate greenhouse. 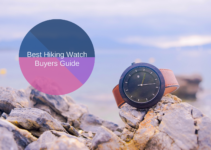 Let’s take a look at the reviews first, then we’ll get to our buyers guide. This barn house style greenhouse offers you eight feet of clearance for climbing plants and smaller trees. It has an aluminum frame and twin wall polycarbonate panels to withstand harsh environmental elements. 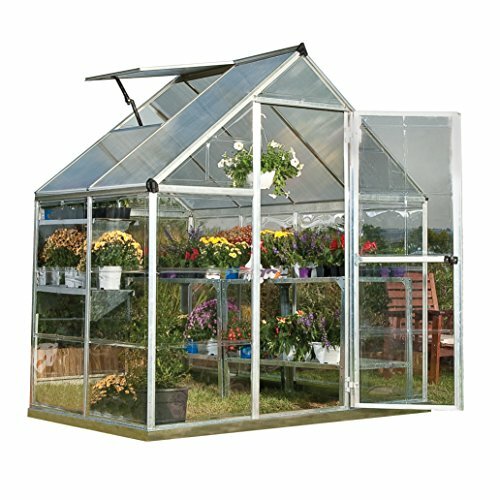 It has proper ventilation through roof panels, and gliding double doors give you enough space to maneuver larger items such as shelves into the greenhouse. 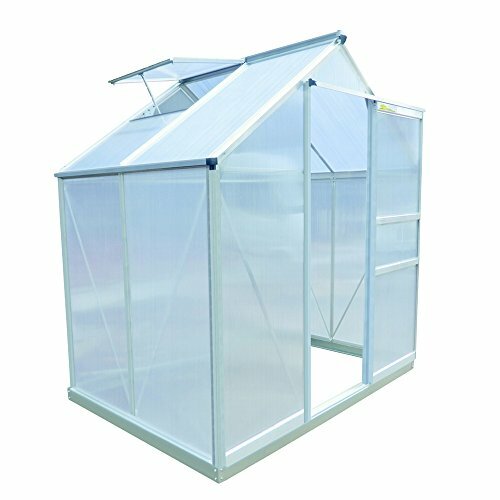 This polycarbonate greenhouse has an insulation value of 1.54 and heat loss value of 0.65. The doors are hung from the top to prevent jamming. It has a ten-year panel warranty and a lifetime frame warranty. -might be too large for small yards. Climapod’s Virtue model is the strongest of the Climapod line. It’s a teardrop-shaped greenhouse that can handle 12 to 15 feet of snow. The greenhouse has a very tall center for climbing plants at nearly eight feet tall. It has an aluminum frame with four roof vents for ventilation. The vents open automatically through heat power. It comes with two-tier shelving for plant storage, and the sliding doors have a magnetic lock. It’s a large greenhouse, but if your climate is freezing during the winter, it does offer excellent use of space and thermostat control. -can’t manually override the automatic vents. 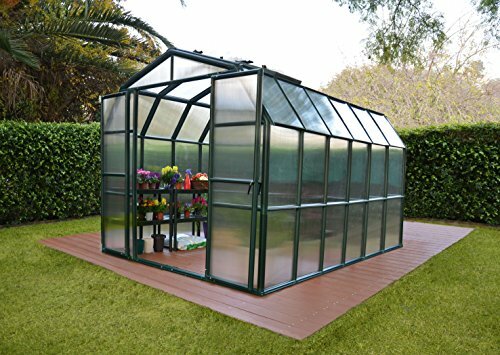 If you need a space-saving greenhouse with all the benefit of polycarbonate, this one from Palm Springs is a great option. It’s just six by four feet, but it offers a peak height of six and a half feet. 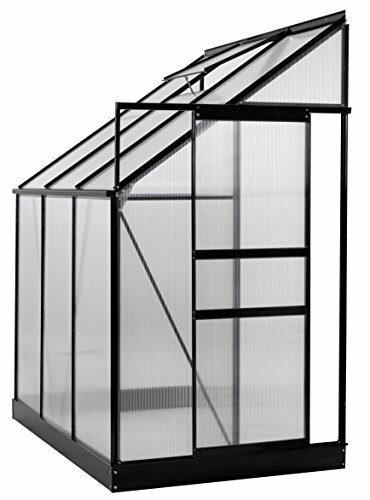 It has the same polycarbonate panels as the more extensive greenhouses with a sturdy aluminum frame. The Palm Springs greenhouse can withstand temperatures of as low as 13 degrees below zero Fahrenheit and up to 140 degrees. It maintains proper humidity and ventilation with a large rooftop ventilation panel. External gutters collect and disperse rainwater, and the entire structure is rated to withstand up to 27 mile-per-hour winds. The door is located on the six-foot side and opens with a sliding action, so you aren’t knocking plants over as you enter and exit. It’s a good budget option for smaller spaces. -the door isn’t double wide (but it does slide open). Palram’s greenhouse is a classic house style with a large rooftop vent to moderate humidity and ventilation. The polycarbonate panels are nearly clear, so this is a beautiful hobby greenhouse. It has an aluminum frame and a heavy-duty, rust-resistant steel base. It’s simple to put together with panels that slide into place. The door is located on the tallest side of the greenhouse. The ventilation panel is manual, but it’s easy to install a temperature controlled automatic opener if you decided to do that. 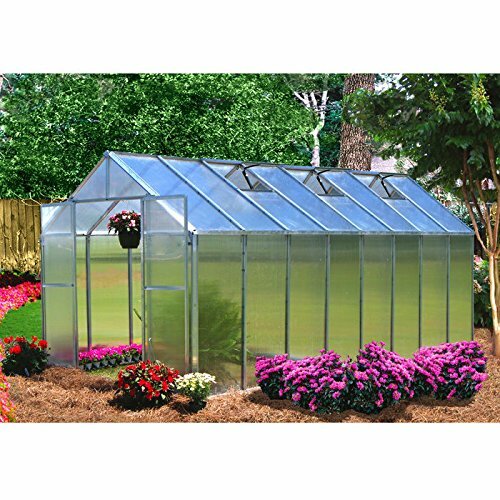 It’s a great standard greenhouse that blends well with the exterior decor. The frame is powder coated and hunter green. With the transparent panels, it’s an attractive yet functional addition to existing outdoor decor. Here’s an interesting problem. Sometimes the only space you have is in your side yard. Ogrow’s innovative lean-to style greenhouse is an excellent solution to this problem. It offers 25 square feet of space in a structure that you can place against your house or existing structure. It’s easy to assemble with panels that click into place. It maintains a constant temperature between seasons where the temperature range is between 25 degrees below zero and 60 degrees Fahrenheit. It has roof vents for cross ventilation, plus a sliding door for easy access. Rain gutters collect water and disperse it away from the structure. It’s a twin wall polycarbonate design that helps disperse light throughout the structure regardless of where the sunlight hits. Palram’s Hybrid greenhouse is a smaller version of their hobby greenhouse line. It has twin polycarbonate walls and a sturdy aluminum frame. It has 24 square feet of growing space with a peak height of seven feet. The door is located on the tallest side of the greenhouse, but you’ll need clearance since it isn’t a sliding door. It does have a magnetic closure, however. There’s a large ventilation panel on the roof to control humidity and air flow. Rain gutters disperse rainwater away from the structure. It can be connected to a water harvesting system to supplement your water. It’s a very sturdy greenhouse for a smaller size. It can handle winds of up to 54 miles per hour and a 15 pound per square foot snow load. 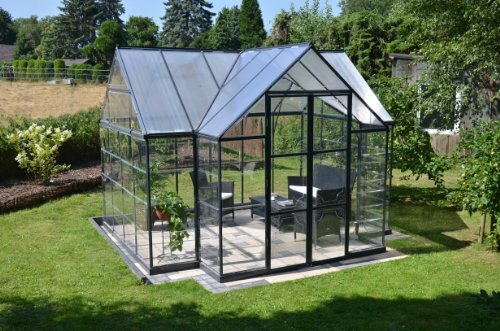 Another Grandio design we love is the more traditional greenhouse style of the Element. It features transparent polycarbonate panels and a powder coated green aluminum frame. It has a slimmer footprint for smaller gardens and side yards. Peak height is seven feet, and the door is located on the tallest side of the greenhouse. It’s a sliding door, so you won’t need any clearance. There’s a ventilation panel in the roof plus vents on one side for proper cross ventilation. You’ll have to find a suitable base for it, but it’s a good smaller investment than the much larger Grandio line. 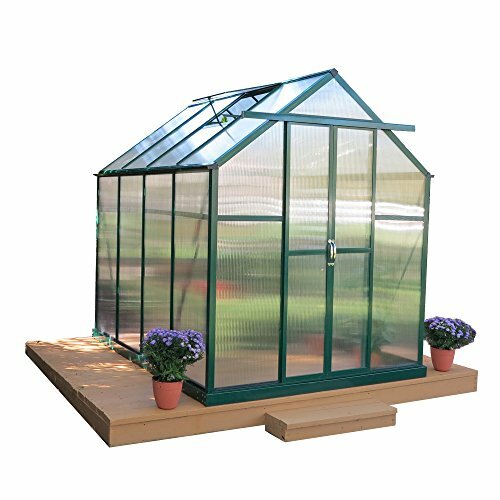 The premium package from Monticello gets you a huge, traditional style greenhouse with 16 feet in length and over seven feet at peak height. It has a sturdy, rust-proof aluminum frame and twin wall polycarbonate panels. The ventilation panels on the roof are heat operated automatic openers, so you won’t have to worry about scrambling to the greenhouse if the temperatures spike. The premium package includes workbenches, shade systems, and a utility sink to put in your space. You can do all your gardening during the winter without worrying about cramming things into a small space. 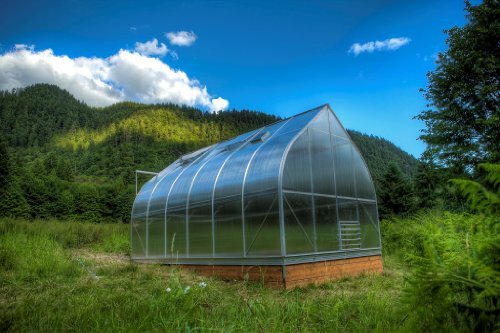 Rion Grand Gardener is a twin wall polycarbonate greenhouse in a standardized barn house shape. It offers a lot of growing space with over seven feet of space at peak height. 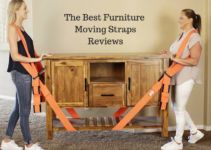 The kit is easy to put together, and the panels are lightweight. There’s a ventilation panel in the roof to provide cross ventilation, and the doors are a double style. This design gives you a lot of room to move in shelving or larger plants for overwintering. There’s a cable system on the interior makes it easier to hang plants and maximize space. There are a lot of panels to install so be careful to lay out each panel precisely as the directions say. If you want something closer to classic greenhouses of the old days, this chalet style is a stylish option. It has double wall polycarbonate panels with a rustproof aluminum frame. There’s 95 square feet of space with plenty of nooks to allow plants to grow wild. The front doors open wide in a double hinge design, allowing you plenty of space to move in equipment and larger plants. It has two roof vents for cross ventilation, but they’re manually operated. The galvanized steel base provides plenty of structure so that it can withstand some harsh weather elements. It’s easy to put together even if you aren’t a professional. -may need some caulk around the door closure to prevent air leaks. Polycarbonate is a very durable material. It’s less likely to crack and break the way that glass will. The material is also lighter and more flexible, so when you’re putting it together, it’s way less of a hassle than glass. Most polycarbonate greenhouses can be put together by the user at home. It disperses light better than plastic or glass. It filters out harmful UV rays to protect you and your plants from sunburn while creating a bright light condition for plants to grow. The material holds in heat during winter months for stable temperatures. What should I look for in a greenhouse? First, you want to consider the area you have for a greenhouse. No matter what your plans are, if you don’t have the outdoor space, a large greenhouse isn’t going to work. But you also want to consider the size of the plants you want to grow. If you plan to keep small citrus trees, you’ll need a lot of clearance for even dwarf species. However, if you’re growing small potted plants, you’ll need something with space for shelves rather than peak height. Plants create moisture, and that moisture has to go somewhere. Moisture can make heat in a greenhouse overwhelming for plants, so it’s vital that you be able to ventilate the space somehow. Many larger greenhouses have ventilation panels across the roof that you can open or close depending on your needs. They also have side panels to allow for cross ventilation and valuable breezes, which oxygenates the air and helps with circulation. Some ventilation panels are attached to an automatic opener. The panels are heat activated. When the thermostat reads a specific temperature, the panels open to provide much-needed relief and air flow. Polycarbonate isn’t the only durable material. The frame of your greenhouse needs to withstand some serious environmental damage too. Look for rust-free aluminum, something that will last a while but still be light enough for you to set up on your own. Many larger greenhouses have steel reinforced bases as well. When you set your greenhouse on the ground or a wood pallet, the steel helps the structure keep a solid foundation and not buckle under shifting ground or strong winds. Don’t let your growing season end when summer does. 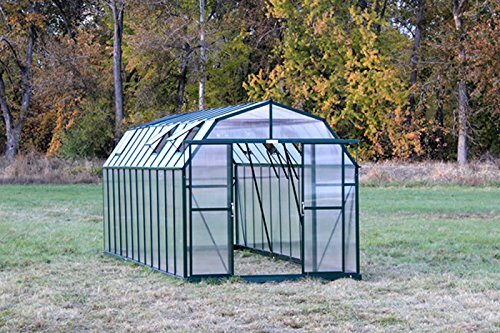 The best polycarbonate greenhouse can extend that season well into the winter. It can help protect plants that can’t withstand the winters without you having to sandwich them all in your house.